In recent years Chile has experienced a boom in entrepreneurship, with the percentage of adults starting a new business increasing from 16% in 2010 to 25.9% in 2015. Much of this can be attributed to the increased status and media support given to entrepreneurship as well as the considerably improved support from the government. 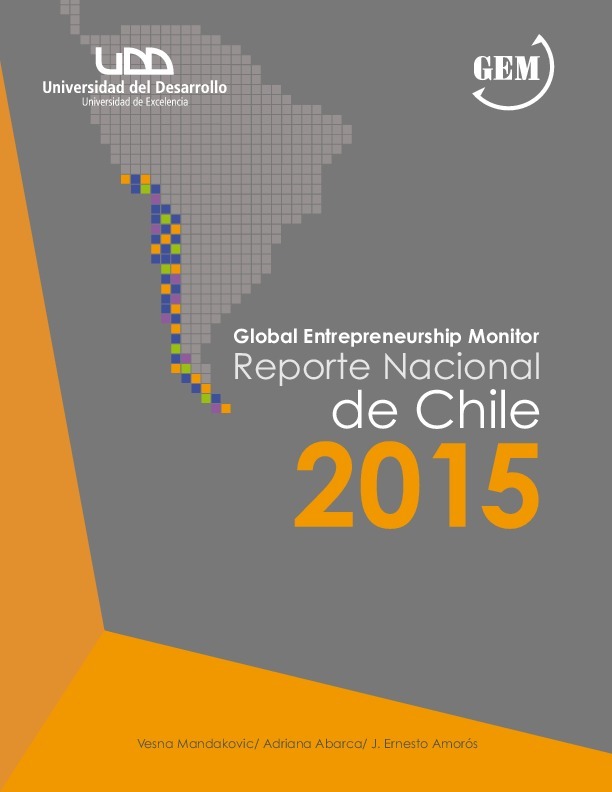 Chile also has good physical and socio-cultural infrastructures in support of entrepreneurship. 57.4% of the adult population in 2015 reported seeing good opportunities to start a business and of these entrepreneurs, 67.4% of early-stage entrepreneurs were driven by opportunity, rather than by necessity. However, the country falls short in terms of access to funding and transfer of research and development (R&D). While there is growing positivity around entrepreneurship, better training programmes aimed at younger ages are also necessary, as this could help to improve success rates and lead to more sustainable ventures. Chile has, during the last decade, reinforced and improved a wide variety of policies aimed at promoting entrepreneurship and innovation. These include programmes designed to attract foreign entrepreneurs (Start-Up Chile), grants for innovative projects through seed capital, the provision of government funding to the venture capital industry and many others. In 2008 a special programme was designed to promote R & D activities in companies by giving a tax credit of 35% of the expenses associated with the project and then allowing the remaining 65% to be deducted for the revenues when calculating corporate tax for the year. In order to qualify, these research projects had to be conducted by universities or registered research centres. However, this programme was amended in 2012 to also include research carried out by companies in-house. The annual cap of the tax credit was raised from US$0.4 million to US$1.2 million per company or legal entity. These tax benefits could be carried forward for 10 years and would remain valid until 2015. According to a report from the OECD, following the 2012 changes the flow of new applicants increased five-fold. In addition results obtained in the period 2012 to 2015, presented in Chart 1 and 2 (amounts presented in millions of Chilean pesos), show that the scheme has experienced exponential growth. The tax benefits claimed under the scheme have increased from 18,508 million Chilean pesos in 2012 to 51,146 million Chilean pesos in 2015. As of the end of 2015 a cumulative 181 companies had benefited from 191 projects under the scheme since 2008 – 73% of them micro and small enterprises. This is significant, particularly as the policy is still quite new. Given that not all companies are as yet likely to be familiar with the tax credit, the uptake is likely to grow further. In addition, the share of small and medium-sized enterprises (SMEs) that benefit from the tax incentive has notably increased from 16.3% of the total in tax credits under the scheme in 2012 to 36.4% in 2015. However, despite this progress, the OECD noted in a 2015 report that the 2012 changes to the tax credit are still most relevant for larger firms, since the credit can only be claimed against profits. Chile could offer refundable tax credits which could benefit smaller firms that are not registering a profit. Chile still spends very little on R&D, representing just 0.39% of GDP in 2013, against the OECD average of 2.4% of GDP. Although Chile’s spending on R&D grew 36% between 2007 and 2012, less than a third of the increase in recent years can be attributed to businesses spending more on R&D. The new changes in the R&D tax credit might help propel spending on R&D by businesses. 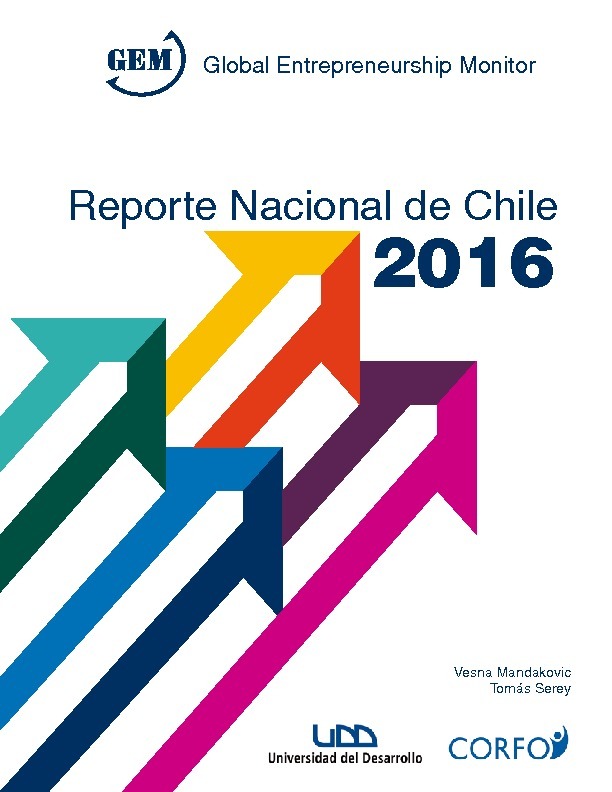 Esta edición de GEM Chile 2016 revela que en el país sigue prevaleciendo una visión favorable hacia el emprendimiento. De hecho, un 24,2% de la población adulta declara estar en la fase inicial de alguna actividad emprendedora y un 8% manifiesta encontrarse en alguna actividad ya establecida (más de 42 meses de vida). Con respecto a la actividad emprendedora en Chile, los resultados muestran que en el período 2015, después de cuatro años de alza, la tasa de emprendimiento en etapas iniciales (TEA) dejó de crecer mostrando incluso una pequeña disminución de 26,8% a 26%. Sin embargo, esta variación no es estadísticamente significativa. De esta forma, el país sigue destacando entre los miembros de la OECD como la economía que presenta la mayor prevalencia de personas adultas que se declaran emprendedoras. 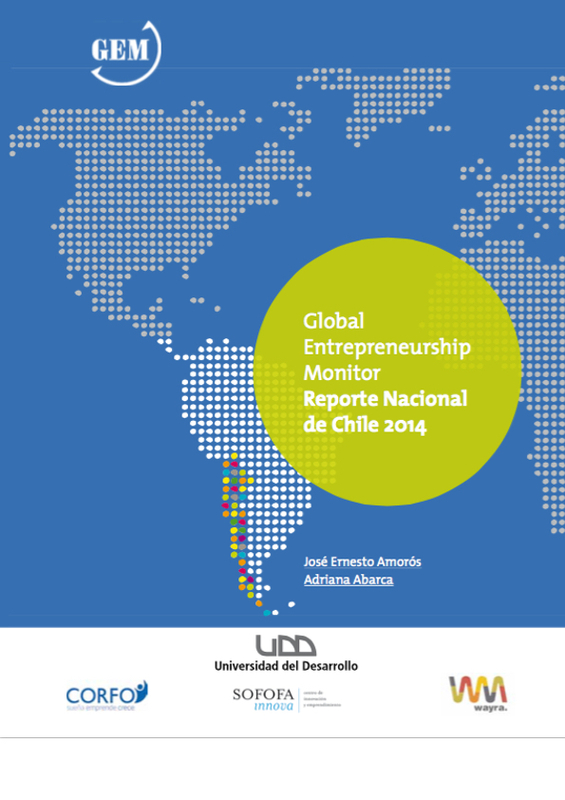 Universidad del Desarrollo (UDD) celebrates 10 years of GEM in Chile with the launch of a commemorative book. The book discusses the evolution of entrepreneurial dynamics in Chile in the last decade, and also provides key indicators for GEM Chile 2012.